After the 2016 Taiwanese general election, many netizens from mainland China circumvented the internet censorship to attack the Facebook page of Tsai Ing-wen. Facebook pages of other media and celebrities from Taiwan and Hong Kong were also targets, catching the attention of the international community. 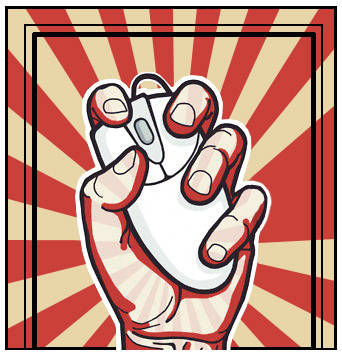 In the past, scholars tended to believe that the internet was an effective tool to challenge authoritarian regimes and facilitate the development of civil society. The Arab Spring in the Middle East and North Africa is considered as a valid example of this viewpoint. However, as an expert that has been investigating the issue for a number of years, I disagree with this widely held belief. Before discussing this issue, however, it is important to review The Power of the Internet in China: Citizen Activism Online and related essays. This insightful book, written by Columbia University’s Professor Guobin Yang, acknowledges the mainstream viewpoint of academia. According to the World Bank’s definition, “civil society” is composed of non-governmental and not-for-profit organizations that have a presence in public life. They are also known as Civil Society Organizations which include community groups, non-governmental organizations (NGOs), labor unions, charitable organizations and professional associations. In Internet and Civil Society in China, Guobin Yang expands the concept of civil society into the cyberspace, labelling it China’s “online civil society.” This online civil society includes individuals and groups who organize civil activities on the internet and can be manifested in the form of forums, blogs and communication groups. Yang is optimistic toward the development of online civil society in China, believing that the internet will foster the development of civil society in China. The framework supporting his arguments is “pluralistic interactions” which originates from the theory of complex interdependence in the field of international relations. According to scholars Robert Keohane and Joseph Nye, international relations are characterized by complex interdependence among nations, undermining the influence of traditional military hard power and enhancing the influence of soft power. Yang states that the pluralistic social structure of China will strengthen markets and civil society, which in turn affect the dominating status of government. Moreover, the internet provides a convenient platform for individuals to organize activities and exchange information. Undoubtedly, the government does not accept the blossoming of a civil society. Therefore, it will adopt practices of censorship and suppression to combat it. However, Yang believes that the process of censorship and suppression will stimulate the creativity of netizens, expressing their opinion freely through different channels. At the same time, the development of the internet economy can foster the growth of an online community in China which provides more space for civil society—In the era of globalization, these interactions dissolve national boundaries and facilitate exchanges between NGOs both in and outside China. Based on the above analysis, Yang states that civil society and the internet are interdependent and claims that the effects of internet access can be understood in 3 areas: (1) “Cultural revolution” based on exchange and expression in the internet; (2) “Social revolution” characterized by the engagement in social activities by normal netizens and (3) “Democratic practices” with “grassroots democracy” at its core. However, if we cautiously investigate the current socio-political culture of China, it is easy to see that the effect of internet access in China may contradict Yang’s claims. Civil society’s nature in China is drastically different from other countries since the Chinese capitalist market economy model is not completely free and there is no democratic political system. Indeed, Western academia believes that a free economy and a robust democracy are two essential elements of a civil society. Therefore, “civil society with Chinese characteristics” does not have a precise organization (otherwise, it will not be accepted by the Party), common core interests and is not entirely opposing the government. As stated in my previous publication Deconstructing the Chinese Dream: The Dynamics of Chinese Nationalism and Sino-American Relations, China’s civil society can only express their opinions in a discrete manner. Therefore, once the government nudges some online groups toward a certain direction and authorizes them to express their opinion, those groups can easily dominate the internet discourse and undermine the influence of elite groups. Thus, civil society in China has suffered from these groups dominance. 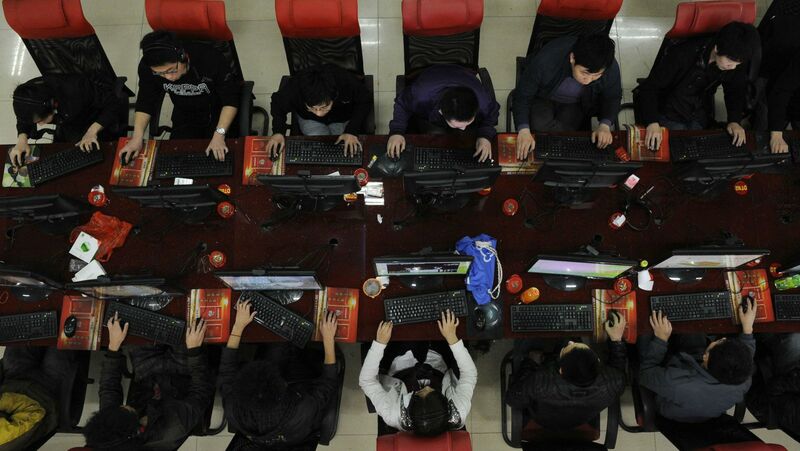 China’s semi-open cyberspace allows netizens to express their opinion, but only under certain conditions. Netizens can express their discontent as long as it is deemed acceptable by the central government. Yang’s analysis assumes governments to be in a passive position, manipulating discourse only when public opinion has already bloomed. However, in modern China, the government does not only manipulate the discourse but also guides it and adapts to technological innovations. On the one hand, the government can censor influential opinions, effectively shutting down civil discourse to prevent tangible actions from being organized. On the other hand, it can also guide the netizens to use a specific style of expression to demonstrate their demand. “Patriotism” (Based on the support of Central Government) is the official acceptable way of expression. In order to ensure political correctness so that the opinion can be expressed, individuals tend to adhere to the idea of “nation-government” and proactively eliminate their connections to foreign actors. Some may even harshly criticize the government for not being patriotic enough before expressing their demands. Before the internet was popularized, the discourse in China was restricted to a small number of elites. Even after the Cultural Revolution, the government’s agenda-setting power was limited. However, according to the latest statistics provided by the China Internet Network Information Center, the total number of internet user in China hovered around 668 million, with an internet penetration rate of 48.8% as of June 2015. Today’s prevalence of the internet has allowed individual netizens to challenge the dominating status of elites in the discourse. Indeed, the internet has been the most effective platform to challenge authority (other than the government). In the Chinese context, the party can thus focus the attention of its citizens to undermine the power of the elites’ discourse or channel discontent about domestic issue to foreign actors. This has morphed the internet into a stability maintenance tool of the government. Yang’s analysis of the internet’s impact on civil society in China is too simplistic. Russia’s cybersphere is much more more open than China. Although there are many forums criticizing Putin openly, the online management of pro-government organizations is still effective in promoting the Kremlin’s agenda. The Chinese cyberspace management style is more direct than Russia’s. In the 2nd World Internet Conference, Xi Jinping emphasized that all countries should respect “internet sovereignty,” a concept that contradicts the online culture of free information flow. However, this is the path that China has decided to take. Robert O. Keohane and Joseph S. Nye, Power and Interdependence in the Information Age, Foreign Affairs 77, no. 5 (1998): 81-94. A concept proposed by Xi Jinping in his speech in the 2nd World Internet Conference. As Xi stated, the principle of sovereign equality in UN Charter should be applicable to the internet, which refers to the respect of a country’s autonomy in choosing their development path in the cyberspace as well as its methods of internet management. No internet hegemony should be present, no intervention in domestic affairs of other countries should be allowed and no actors should perform, connive and support any online activities that could damage the national security of other countries. Opponents to this idea believe that Xi’s argument is used to justify internet censorship.